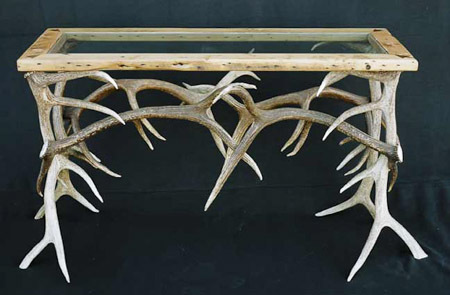 This elk antler sofa table is made with 8 large elk antlers along with a barnwood framed glass top. 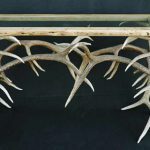 The table stands 32″ tall and is 52″ long and 20″ wide. 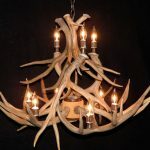 Custom order: please call or e-mail for details. 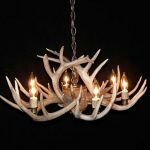 Price $2200.00, shipping – freight or delivery. 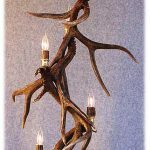 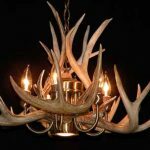 This whitetail deer antler chandelier is made with 9 whitetail antlers and features 6 lights.The lights are set in solid antique brass candle cups along with real antler risers. 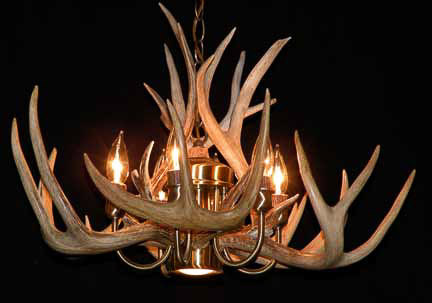 The center hub is covered with leather along with hardwood top and bottom cap. 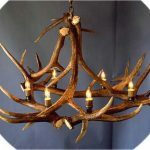 The bottom cap also has a nice elk burr attached. 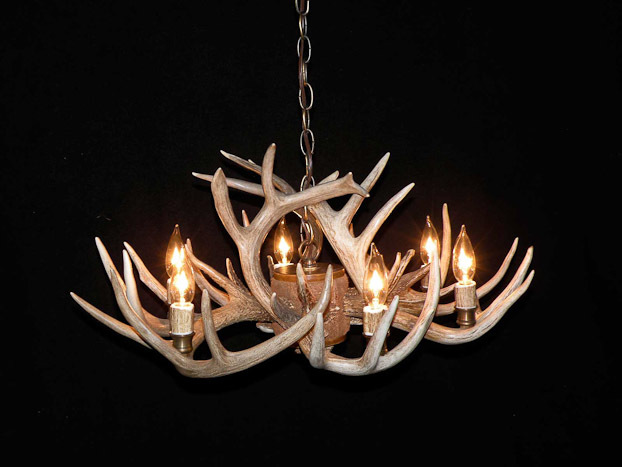 Furnished with an antique brass ceiling canopy kit, 3′ of matching chain and 25w bulbs. 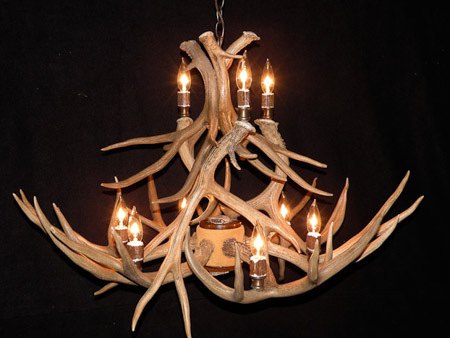 The chandelier is around 24″ in diameter and 12″ tall. 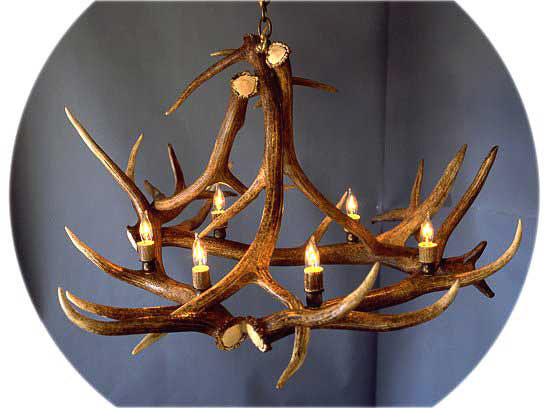 Perfect for a lower ceiling and entryway or kitchen.